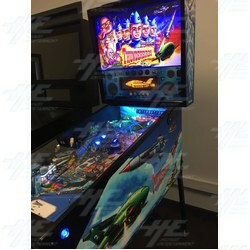 Today is the last day of our Thunderbirds Pinball machine extended 12 months warranty - it means purchase (or pay a deposit) a Thunderbirds Pinball machines before end of 30th November, 2018 and receive 24 months warranty on ALL components (labour is not included, and you must return main components such as game boards). Plus, this warranty is transferable. Its Australia's (maybe the world...) best pinball warranty. "I took my time to set it up and check through everything. You have done a magnificent job to build that game. Have a beer and let everyone know I think it blows Stern out of the water in Craftmanship and build quality!" We have stock in Australia for immediate shipment, or, reserve units from next year's production. Price is $6,999inc GST.